Talk about whiplash. We just finished our Mediterranean cruise shoot, and we’re jumping immediately into filming our next special: “Rick Steves’ The Story of Fascism in Europe.” We’re traveling in Rome, Berlin, Nürnberg, and Munich as we film material for the special, which will air across the USA next September. 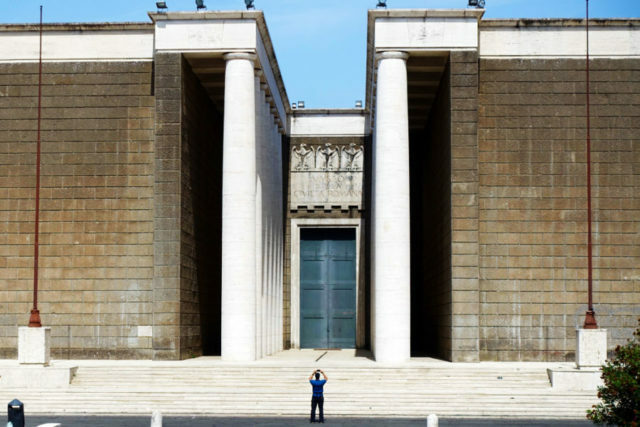 In a fascist regime, the individual is lost to the state, and the architecture is designed to make you feel small — as you can see at this stern edifice in EUR, the futuristic city Mussolini was developing next to Rome. It’s been a big mind shift from filming on a cruise to filming about fascism. 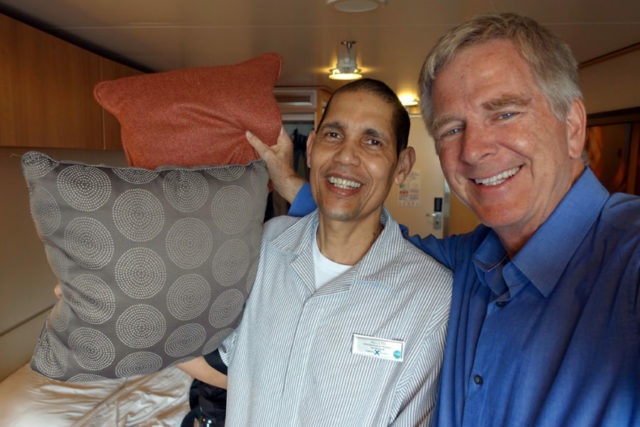 On the cruise, I was struck by the name of the attendant who took care of my stateroom, Adolfo — the only Adolf I can remember ever meeting. But while Adolfo (a wonderful man from Nicaragua) was all about making people feel big…the evil Adolf was all about making people feel small.